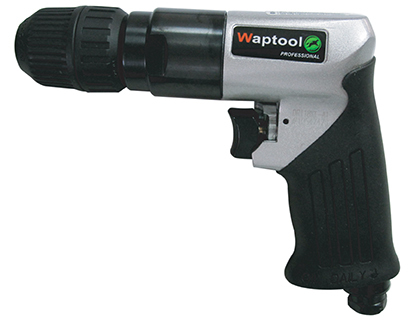 · Ergonomic grip design for better maneuverability of the tool. · High performance motor maximizes output speed. · Reliable heat treated planetary gear machined form bar stock. · Durable motor design with high balance for precision work without vibration. · Feather trigger can help on precision work. · Thumb lever to switch drive direction with one finger. · Industrial Keyed and Keyless chuck available for option. Application: Spring work, maintenance of buses & trucks, high volume tire work on trucks, buses, heavy equipment, farm implement work.